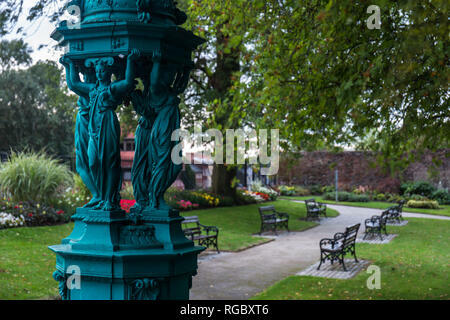 Ornate Wallace Water Fountain in Castle Gardens, Lisburn, N.Ireland. 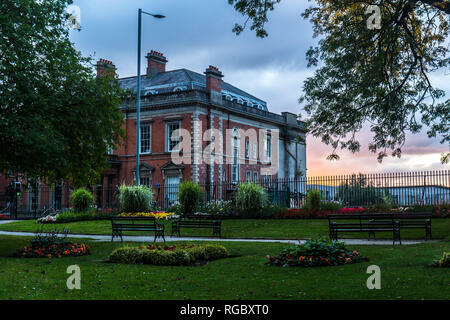 View from Castle Gardens towards building on Castle Street, Lisburn, N.Ireland. 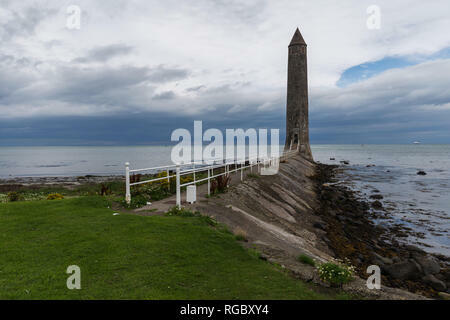 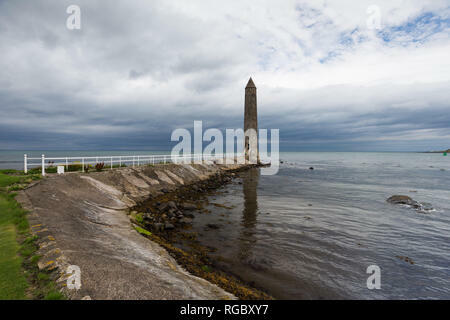 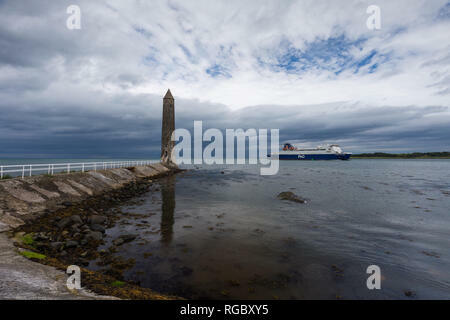 Chaine Memorial Tower, in memory of James Chaine, who established shipping routes from port of Larne, County Antrim, N.Ireland. 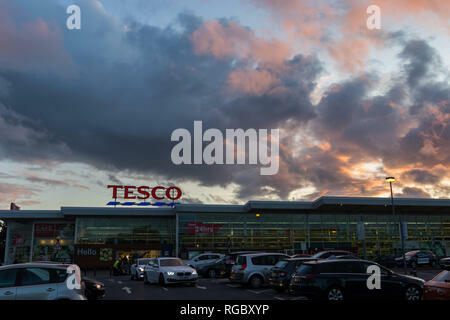 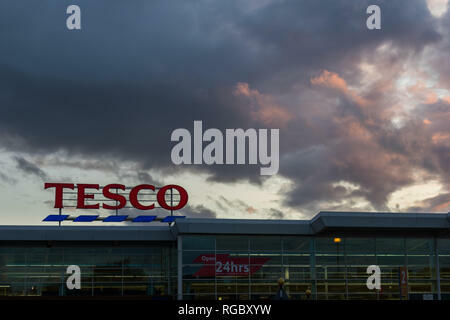 Sunset over Tesco's 24 hour store, Lisburn, N.Ireland. 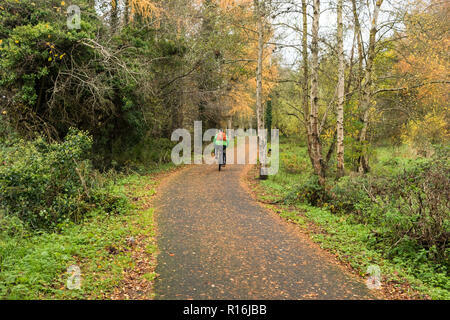 Lagan towpath at Hanna's Locks at Lagan Valley Island, Lisburn, County Antrim, N.Ireland. 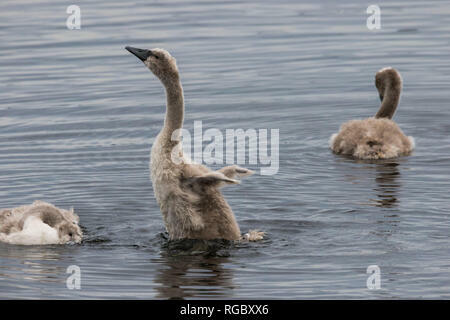 Young Mute Swan cygnet stretches and flaps underdeveloped wings. 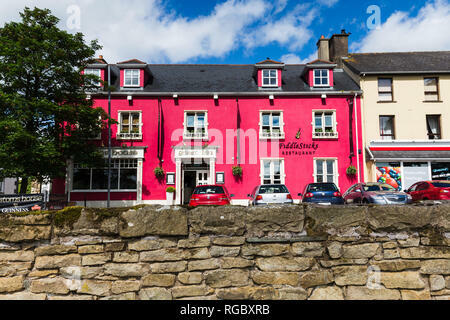 Old Customs House which is now a beautiful Inn in Belcoo, County Fermanagh, N.Ireland. 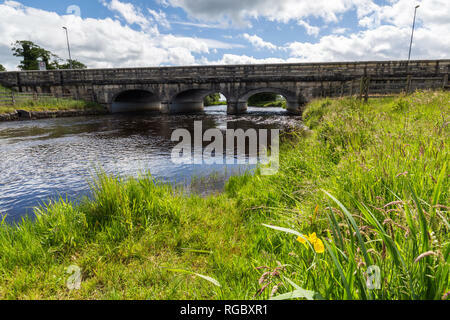 Across the nearby bridge is Blacklion in Republic of Ireland. 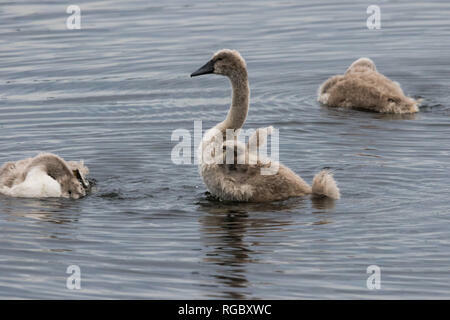 Cygnet to Swan. 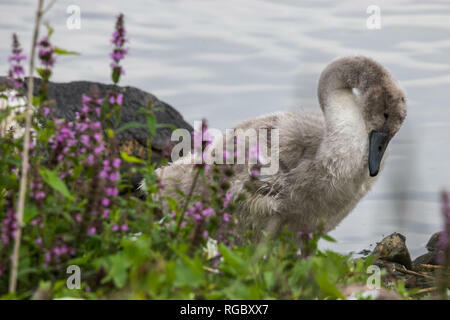 This cygnet is maturing into an adult swan as you can see by the change in its plumage from grey to white. 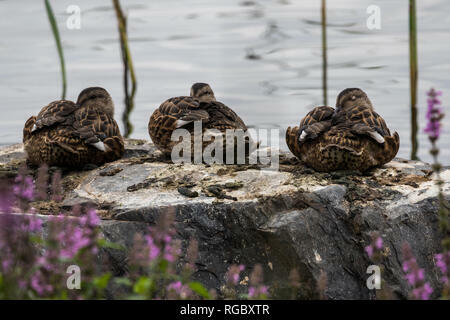 3 female Mallard ducks sleeping on a rock at the waters edge. 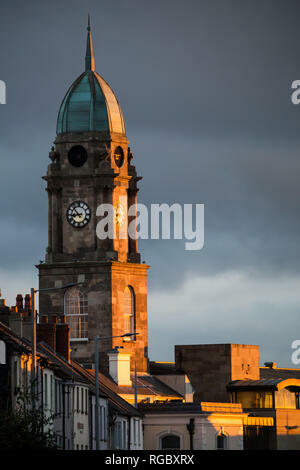 Late evening sunlight shines on the clock tower of the Irish Linen Centre in the centre of Lisburn, N.Ireland. 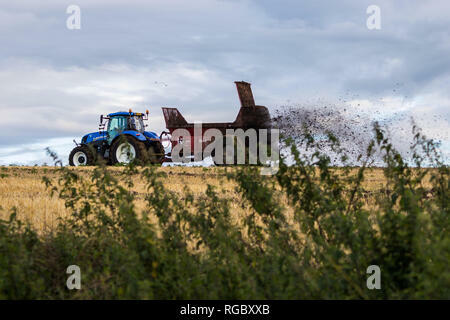 Tractor pulling a trailer working in a field, Lisburn, N.Ireland. 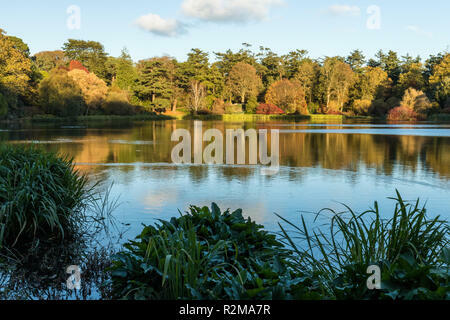 Autumn colours in late afternoon over a lake at Mount Stewart, Newtownards, County Down, N.Ireland. 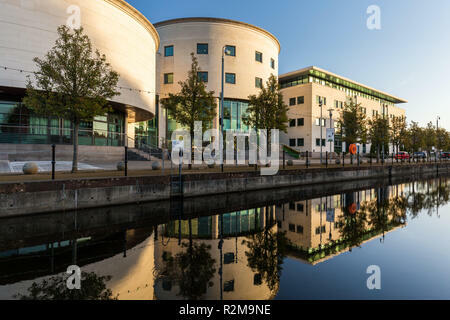 Civic Centre on a frosty autumn morning. 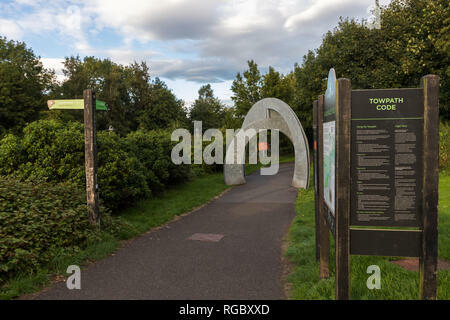 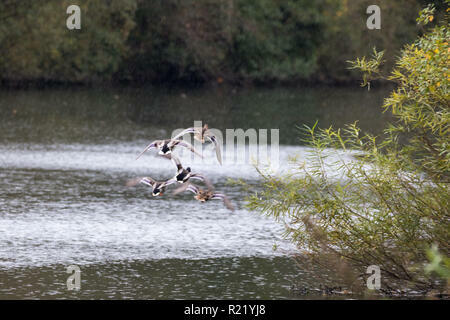 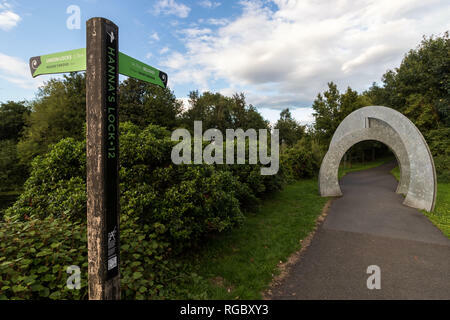 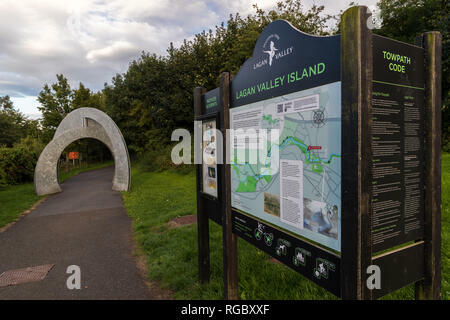 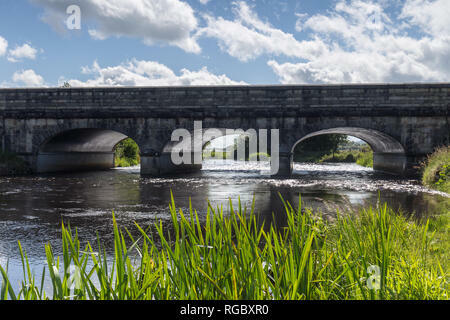 Lagan Valley Island, Lisburn, County Antrim, N.Ireland. 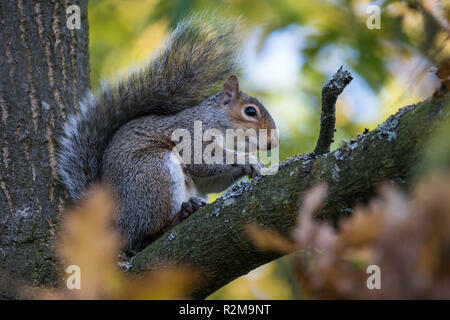 A Grey Squirrel on a high branch looking direct. 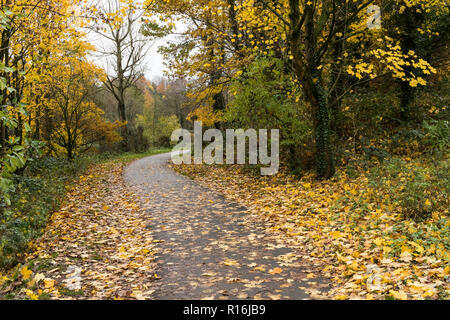 Barnett Demesne, Belfast, N.Ireland. 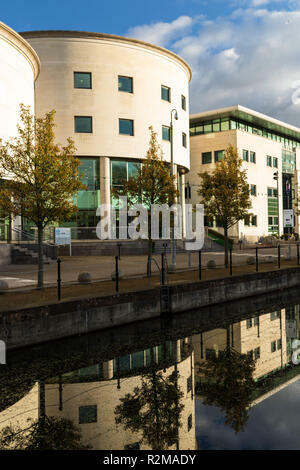 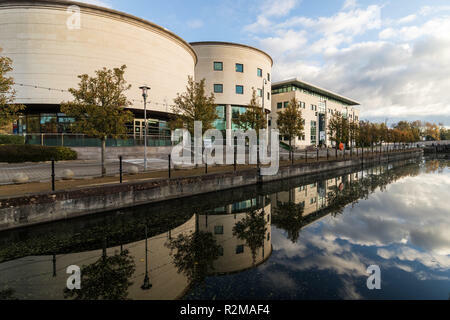 Civic Centre reflected in canal at Lagan Valley Island, Lisburn, County Antrim, N.Ireland. 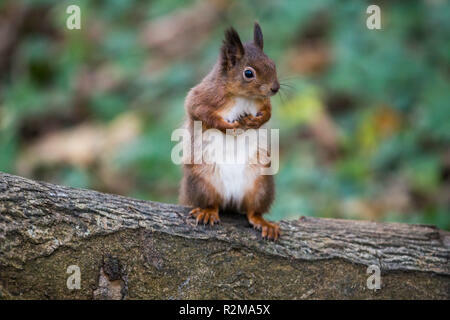 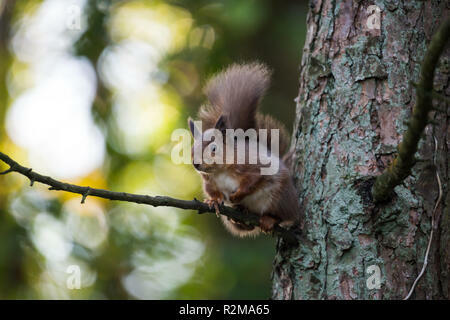 Red Squirrel (Sciurus vulgaris) standing on back legs in the forest side on. 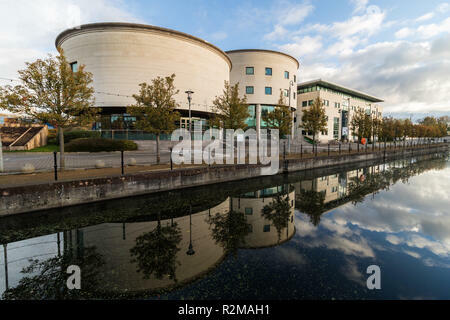 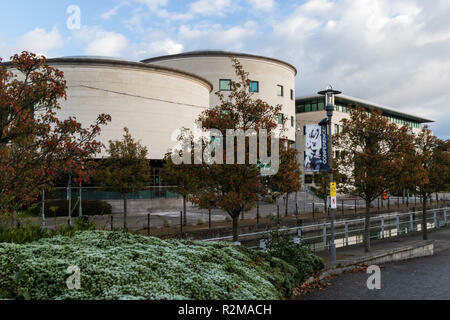 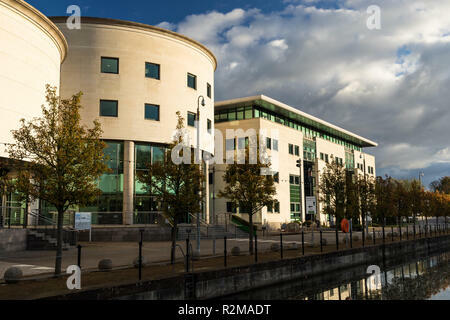 Civic Centre with row of trees in autumnal colour at Lagan Valley Island, Lisburn, County Antrim, N.Ireland. 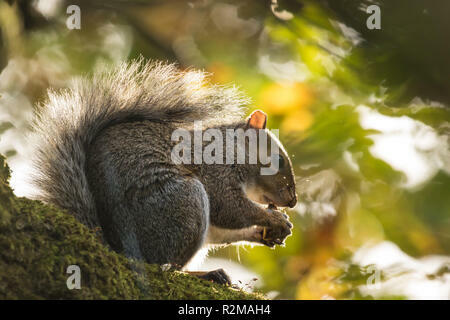 A Grey Squirrel (Sciurus carolinensis) feeding on acorns in Barnett Demesne, Belfast, N.Ireland. 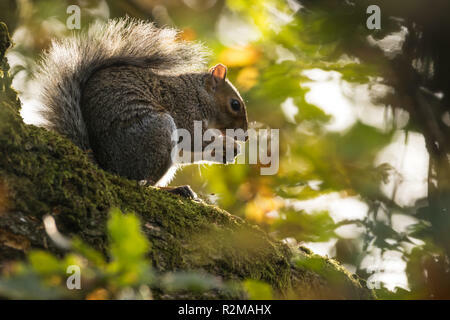 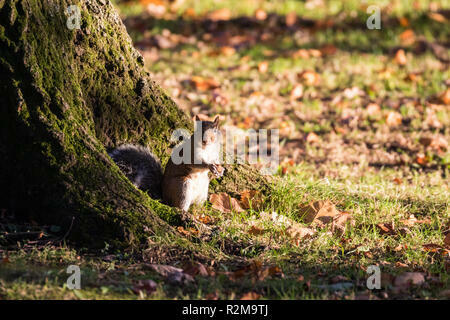 A Grey Squirrel is busy collecting and feeding on acorns at the base of a tree in bright sunshine in Barnett Demesne, Belfast, N.Ireland. 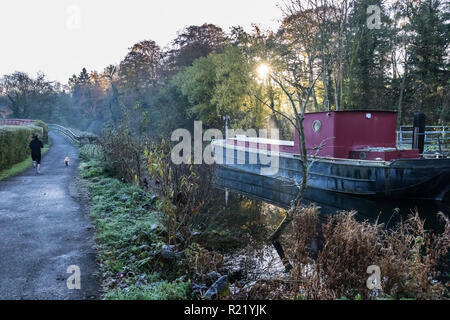 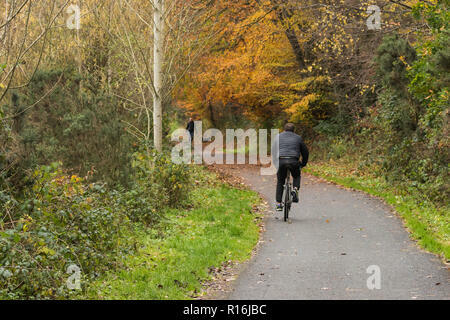 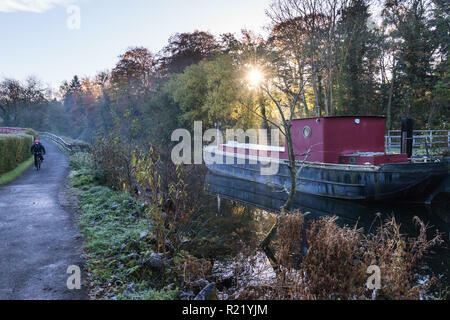 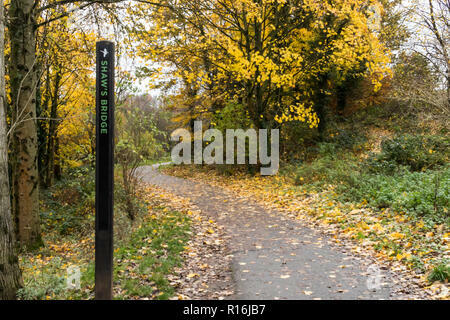 Beautiful autumn colours on a cold frosty morning on the Lagan towpath in South Belfast, Northern Ireland. 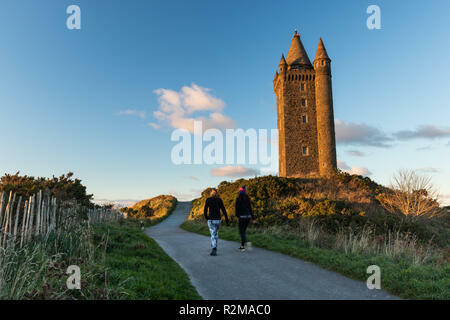 Scrabo Tower at sunset. A local landmark on Scrabo Hill visible from many miles. 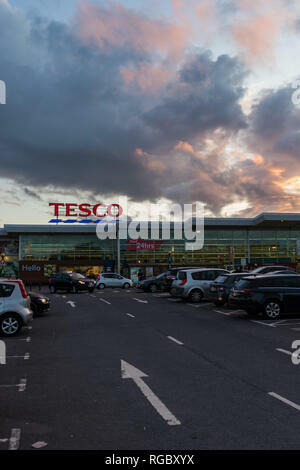 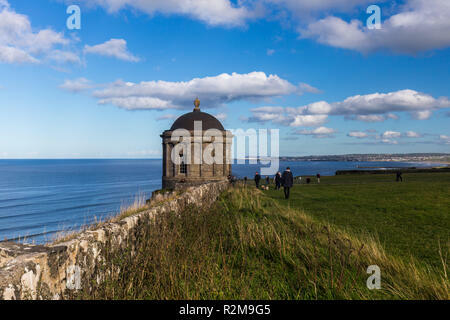 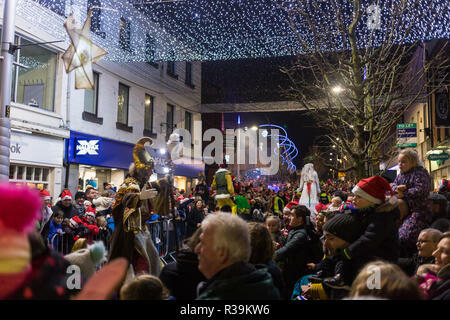 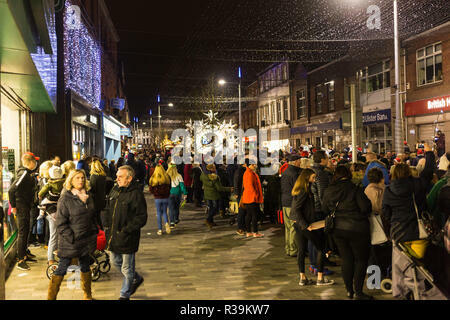 Newtownards, County Down, N.Ireland. 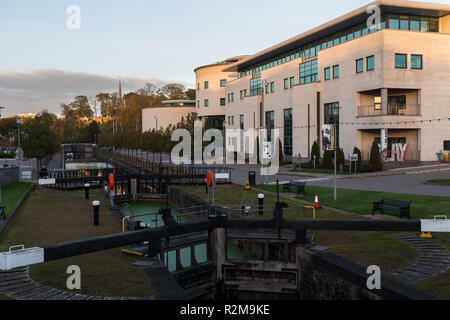 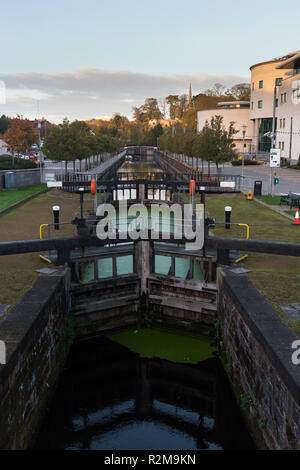 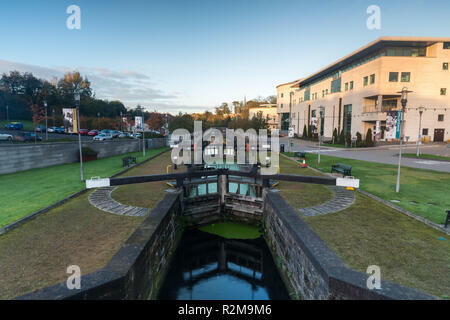 Canal Locks and Civic Centre at Lagan Valley Island, Lisburn, County Antrim, N.Ireland. 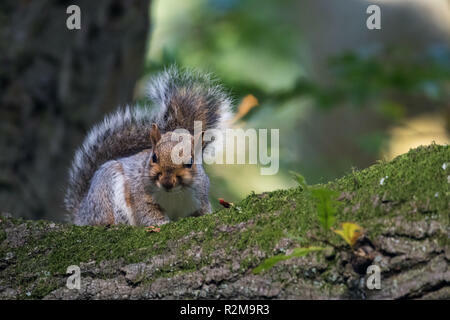 A Grey Squirrel is busy collecting and feeding on acorns in Barnett Demesne, Belfast, N.Ireland. 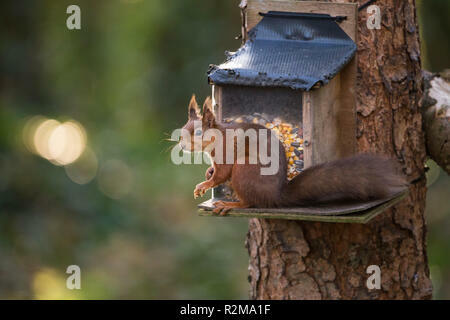 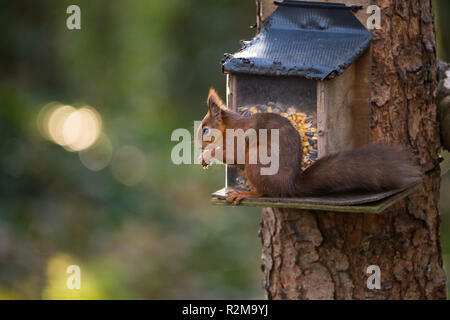 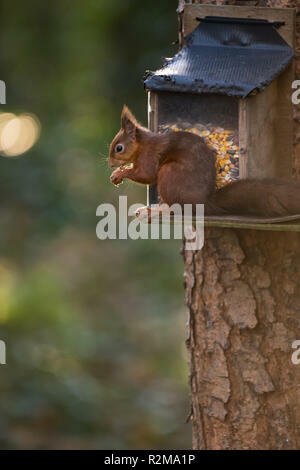 Red Squirrel (Sciurus vulgaris) eating next to a feeder attached to a tree. 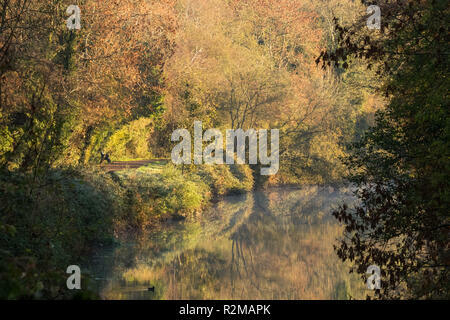 Early morning mist on the River Lagan, as beautiful autumn colours are brightly lit by morning sunshine. 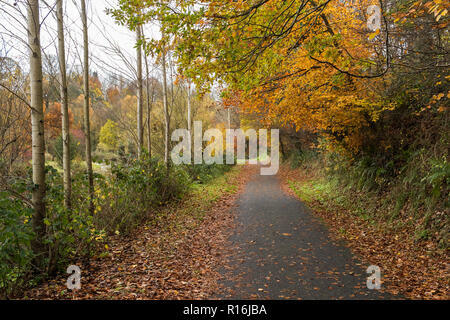 Lagan towpath, Belfast, N.Ireland. 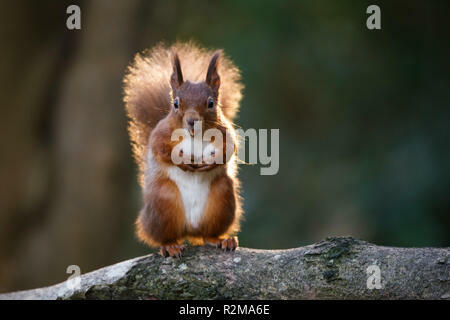 Red Squirrel (Sciurus vulgaris) standing with a nut in its mouth backlit with bright sunlight. 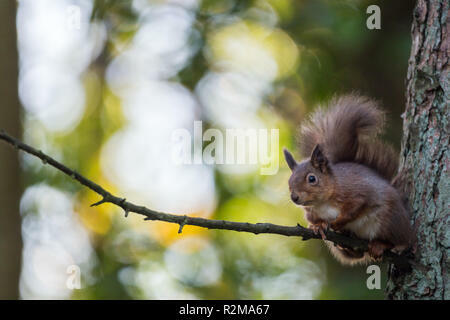 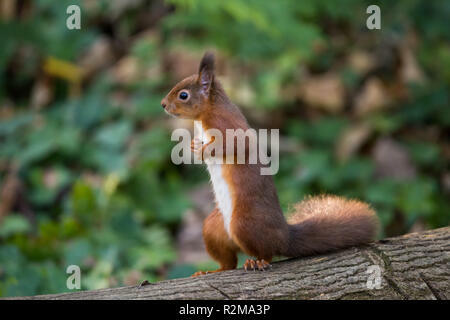 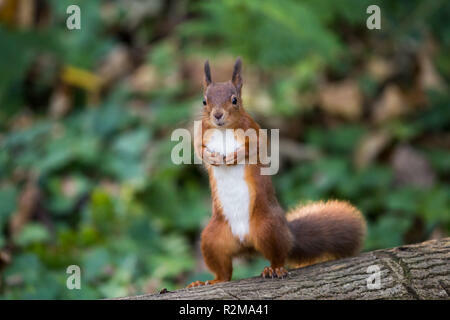 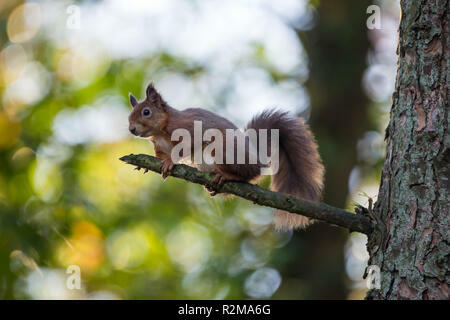 Red Squirrel (Sciurus vulgaris) sitting on a high branch backlit by sunlight streaming through forest canopy. 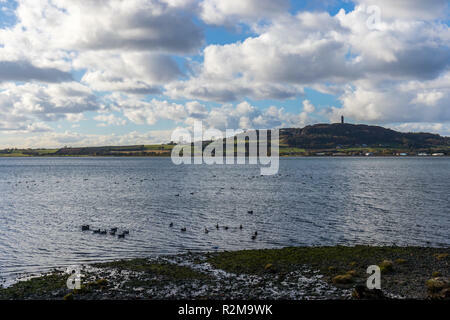 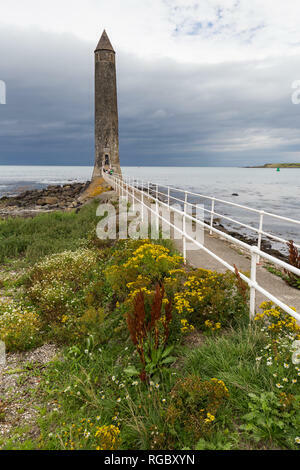 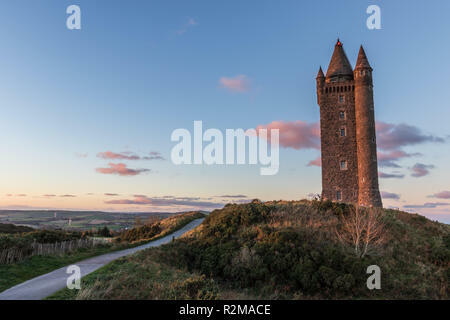 Scrabo Tower on Scrabo Hill seen over Strangford Lough, Newtownards, County Down, Northern Ireland. 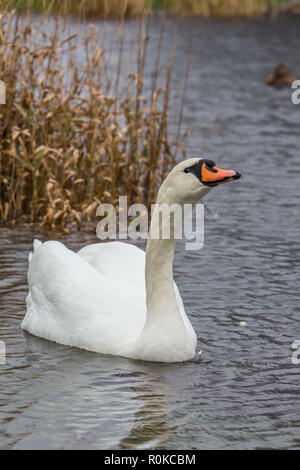 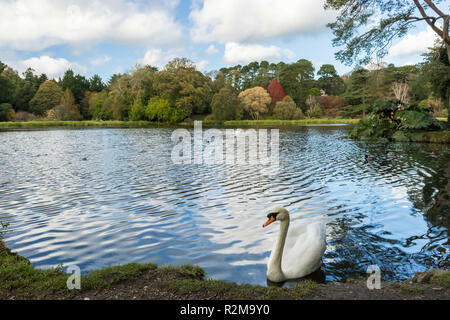 White Mute Swan on the edge of a lake with autumn colours and blue skies. 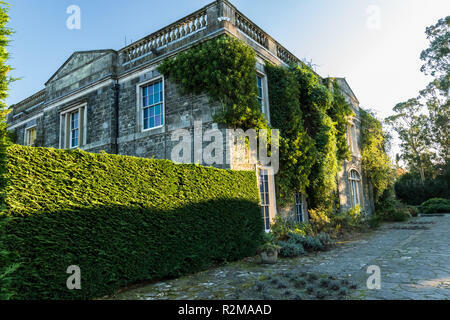 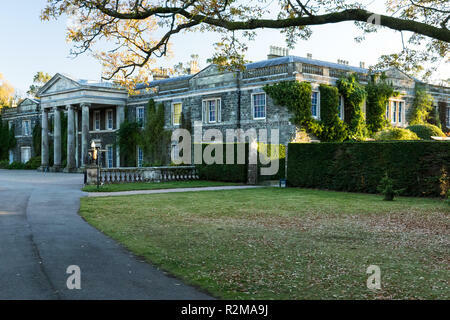 Mount Stewart, Newtownards, County Down, N.Ireland. 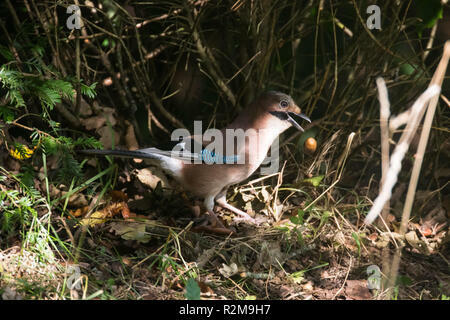 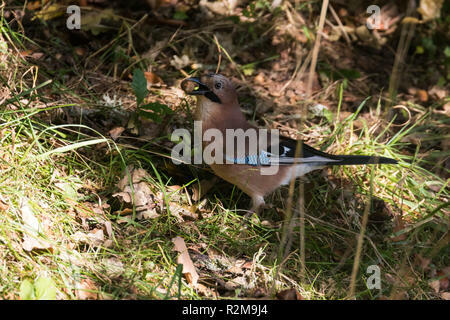 Eurasian Jay (garrulus glandarius) in shadows collecting acorns and dropping them. 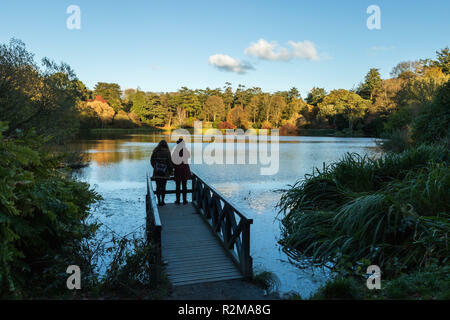 A young couple on a jetty enjoying the Autumn colours in late afternoon over a lake at Mount Stewart, Newtownards, County Down, N.Ireland. 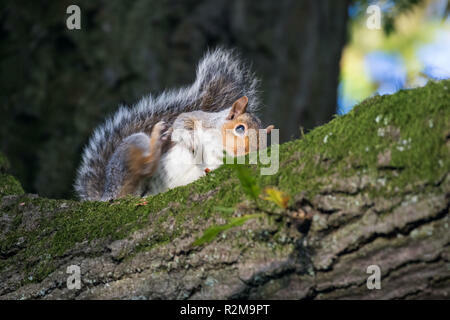 A Grey Squirrel scratching on a tree branch in Barnett Demesne, Belfast, N.Ireland. 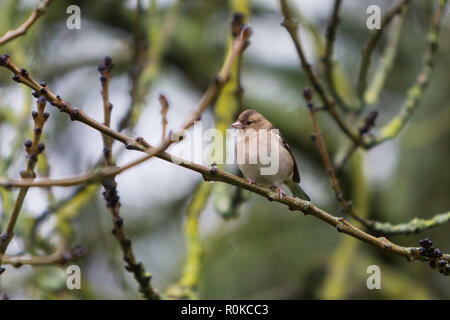 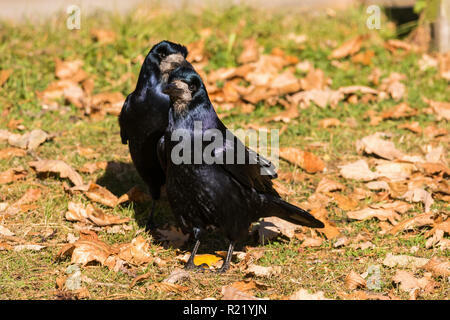 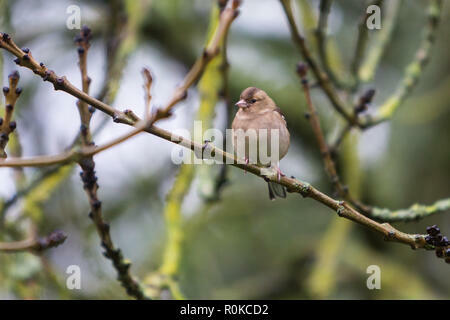 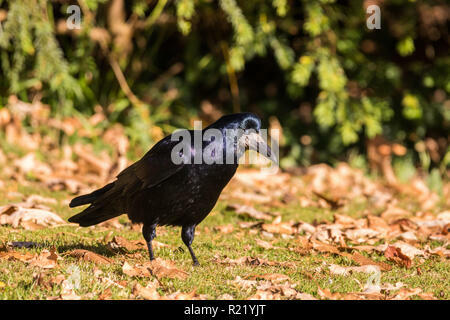 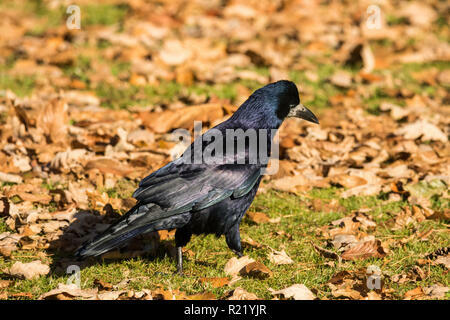 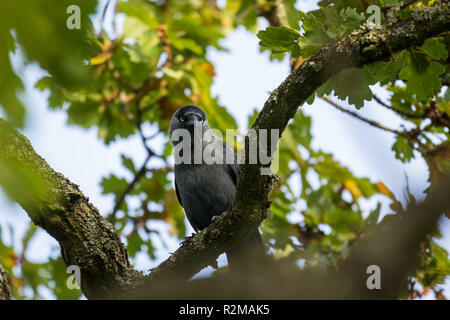 Jackdaw (Corvus monedula) perched on a branch surrounded by green foliage. 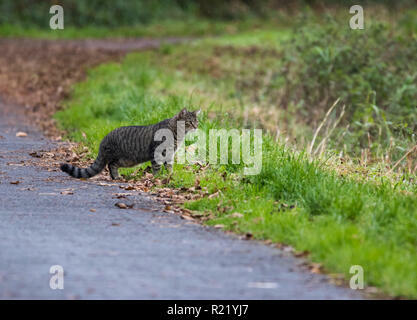 An attentive Tabby Cat hunting a bird (out of shot) on a riverside path. 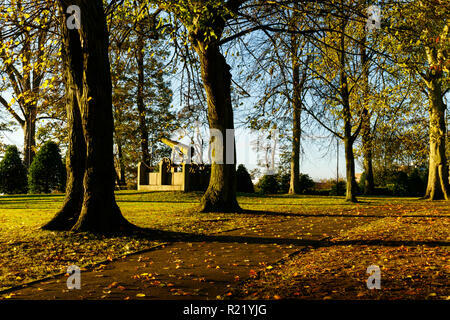 Long shadows cast by trees in early morning light. 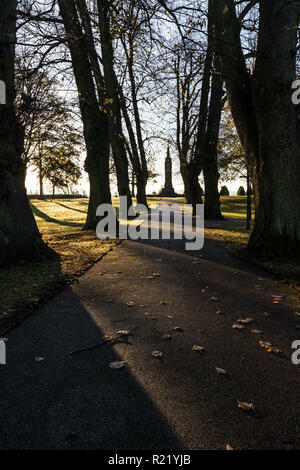 Wallace Monument at end of pathway in Castle Gardens, Lisburn, N.Ireland. 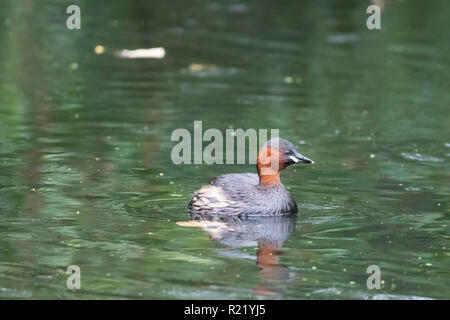 Little Grebe (Tachybaptus ruficollis), also known as dabchick, on river surface after a dive. 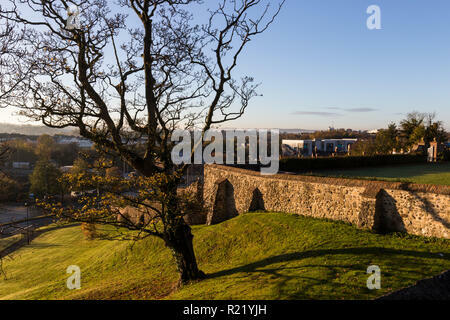 View from top of Castle Gardens, looking at walls on hillside with large tree in foreground. 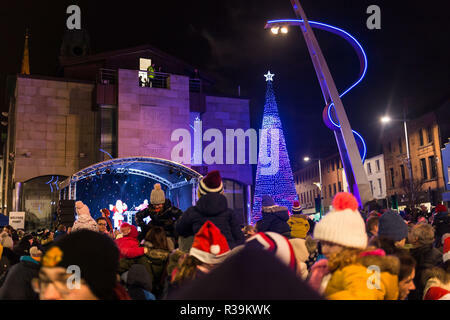 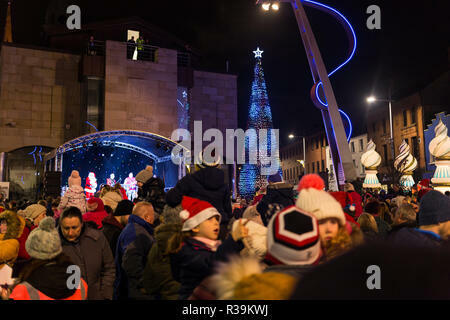 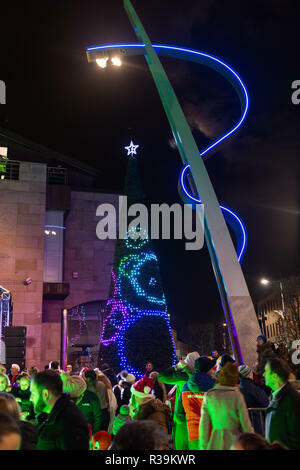 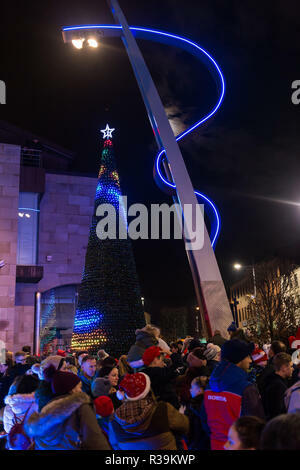 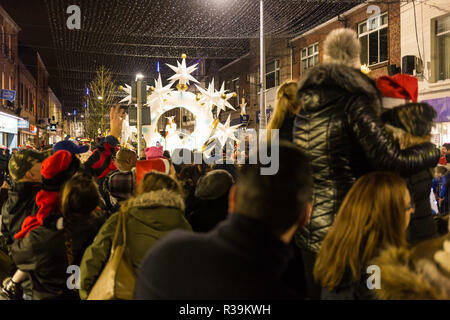 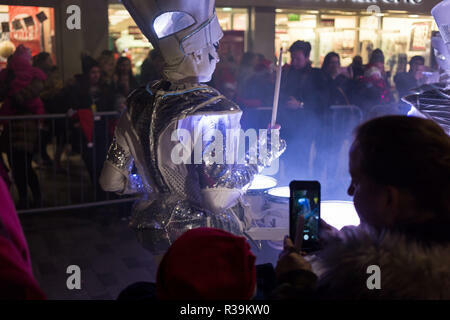 Lisburn, N.Ireland. 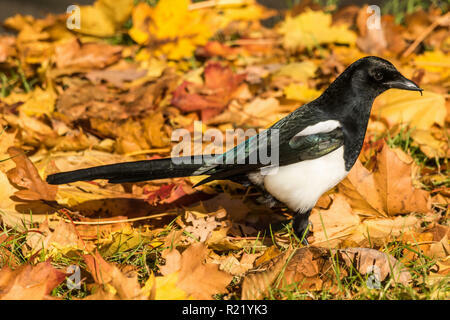 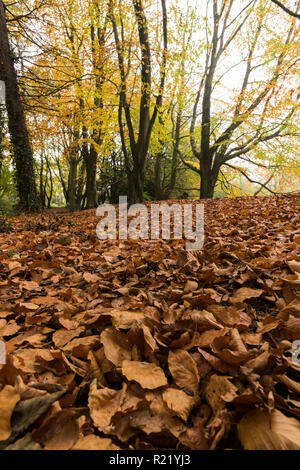 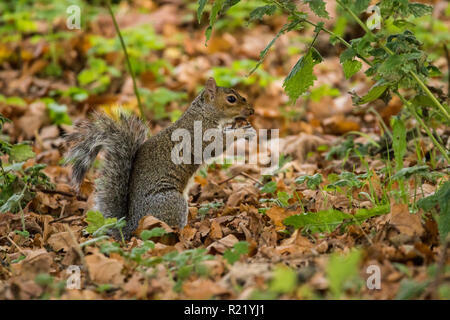 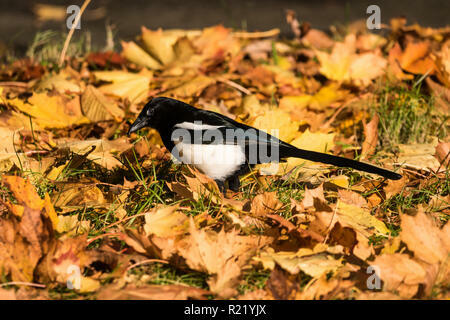 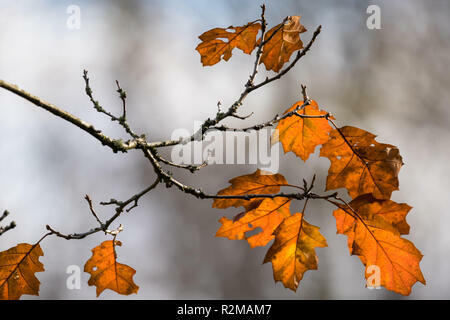 A Grey Squirrel is busy collecting and feeding on acorns surrounded by fallen leaves. 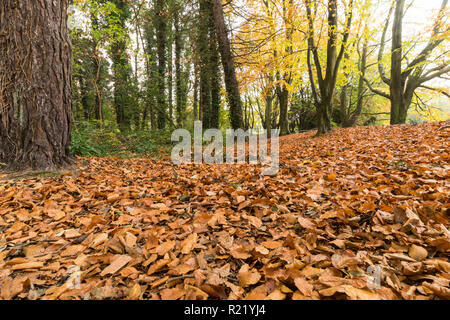 Barnett Demesne, Belfast. 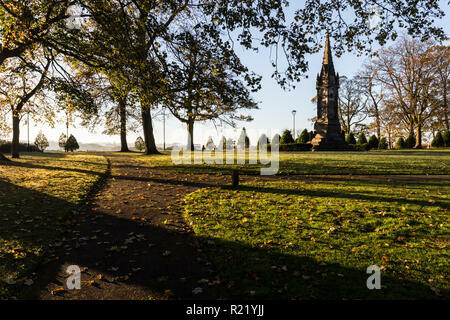 Early morning sunshine on Wallace Memorial in grounds of Castle Gardens, Lisburn, N.Ireland. 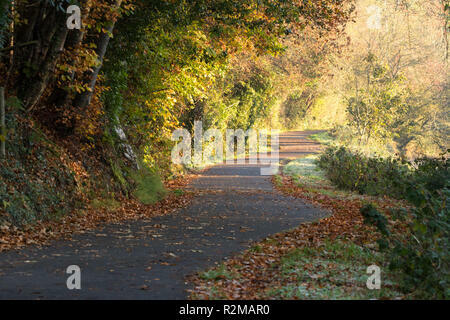 Early morning autumn sunshine in Castle Gardens, Lisburn, N.Ireland. 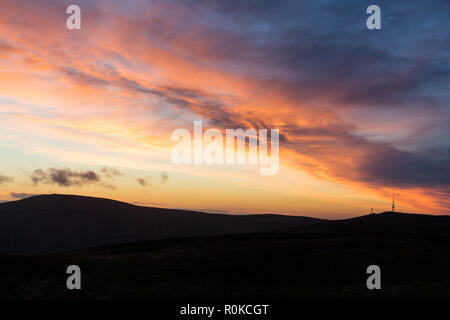 Dramatic sunset over silhouetted Belfast hills. 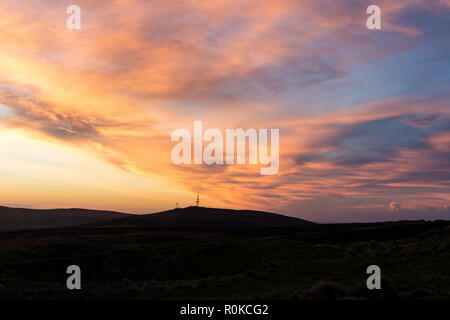 Viewed from summit of Cavehill looking towards Divis Mountain, Belfast, N.Ireland. 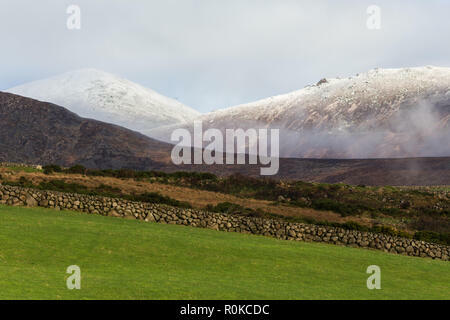 Slieve Donard and Chimney Rock Mountain covered in light snow seen in the distance beyond green field and dry stone wall. 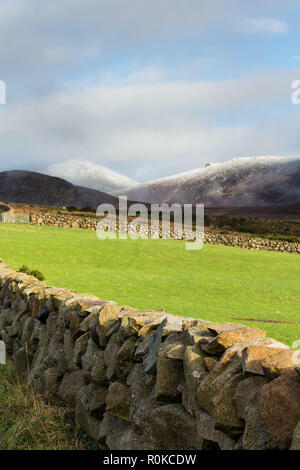 Mourne Mountains, N.Ireland.